The Modernist Angle: A $6.9m home with $1.59 light switches? A $6.9m home with $1.59 light switches? 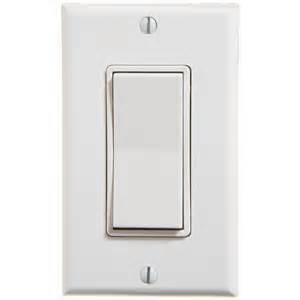 Something wrong with this light switch? Nope, nothing really. Last week I found it in many times in two open houses. It's your standard Leviton switch; $1.59 for the ten-pack, contractors' pricing probably a bit cheaper. In the morning, I saw this switch being installed in a $1.4m modernist house under construction. No issues. Then, same day an hour later, I encountered it and many of its siblings in another brand-new modern home for sale. This time, the asking price was $6.9 million. But – $1.59 switches in a $6.9m home? Visible screws and all? If I was a prospective buyer in that price bracket, I'd blow a gasket. Upscale pricing should get more than an upscale location and more space, it should also demand better materials. But sadly, I often observe stunts like that. And I can't help but wonder what kind of buyer will let a detail like this slide by. You don't have to be in the building trade to be a bit more discriminating. Is the builder's margin really that poor that s/he has to resort to this? Are luxury buyers really that indiscriminate that glitzy appearance of a big house is worth more than substance in details? Seems so. In my book, that gets filed under "pathetic".